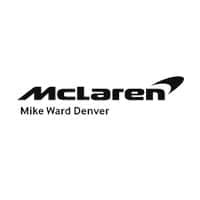 Welcome to McLaren Denver. We’re the only McLaren dealership in Colorado, and the only McLaren dealer for over 800 miles! We service and sell new and pre-owned McLaren automobiles in Colorado, Utah, New Mexico, Montana, Nebraska, and Kansas. In addition to our Maserati and Alfa Romeo stores, Mike Ward Auto Group maintains an incredible selection of Italian luxury performance cars. McLaren Denver sells the entire selection of new and used McLaren vehicles like the 570S, 570S Spider, 570GT, 600LT, 600LT Spider, 675LT, 675LT Spider, 720S, 720S Spider, Senna, P1, 12C, and maybe even a F1. Take a tour of our new inventory online.When you’re ready to buy a new or pre-owned Mclaren, Mclaren Denver is here to help you find the exact vehicle that is perfect for you. Our sales team is here to help you find the McLaren that works for you, and our finance department can expedite the process for you by helping you find the most competitive financing as quickly as possible.